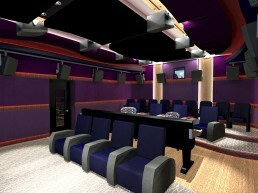 S+V Post Mumbai | Pilchner Schoustal International Inc. 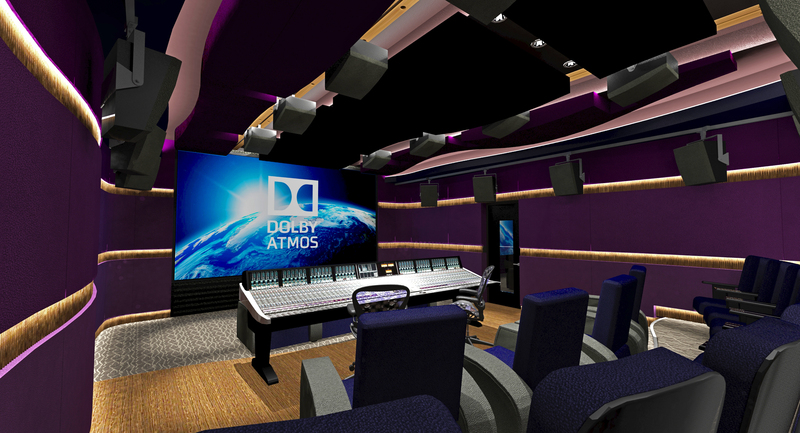 These are conceptual renderings of an upcoming audio post facility to be built in Mumbai. 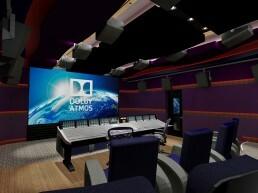 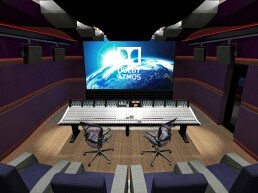 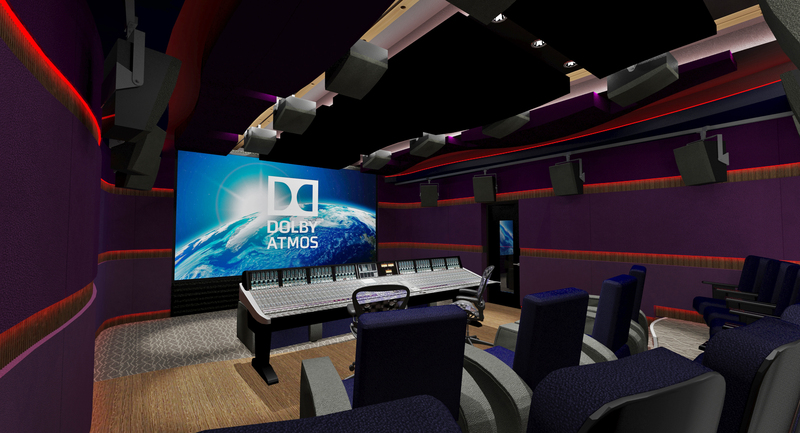 This film mixing space is designed to envelop an integrated Dolby Atmos surround system while also offering a comfortable screening area for clients. 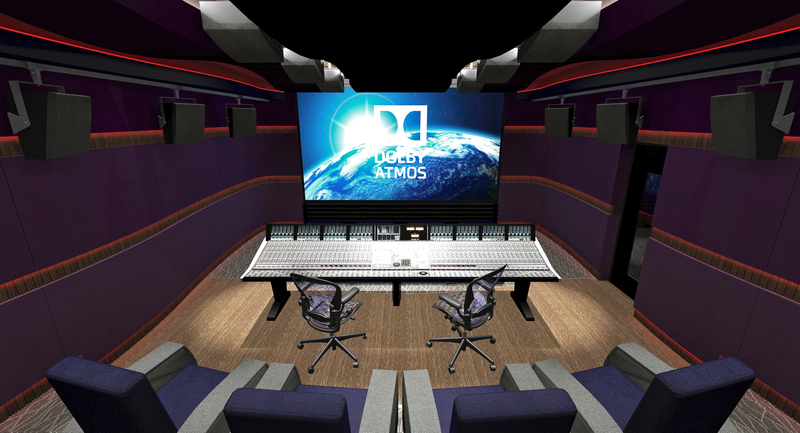 This concept steps away from our typical linear design style, with the use of featured curved walls and ceiling clouds concealing diaphragmatic absorbers. 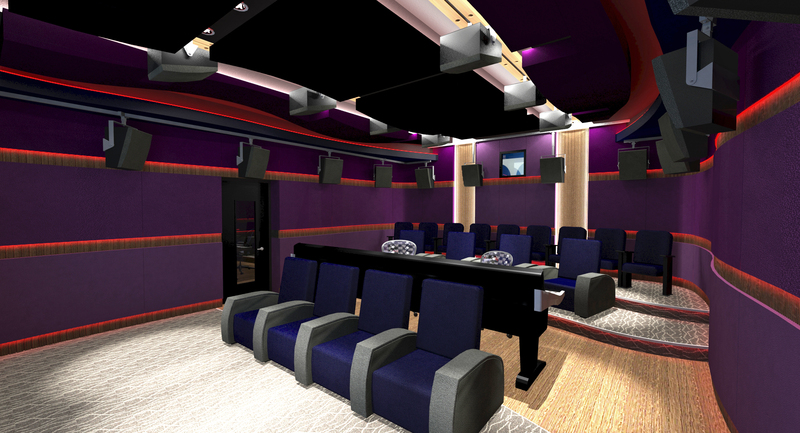 A diffusive wood surface around the boundary of the room is highlighted with the use of multi-color LED strips.